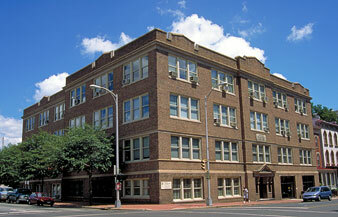 The Virginia Mechanics Institute Building houses a variety of offices and services of the university and the hospitals at VCU Medical Center, including the Division for Academic Success, the Division for Health Sciences Diversity, Records and Registration, and University Student Health Services, including the MCV Campus location for University Counseling Services. The MCV Campus post office, Environmental Health and Safety, VCUCard office and support services of Technology Services are also located in the VMI Building, as well as the Financial Aid Office for the College of Health Professions and the schools of Nursing and Pharmacy. © 1996-2019 Virginia Commonwealth University. All rights reserved.